Home » Creativity » Do you like fantasy stories but detest war, violence and apocalypses? Do you like fantasy stories but detest war, violence and apocalypses? Angelina holds tightly to her big bag (where she carries her secret) while she waits for the “N” train that will take her to a new corporate job. Meanwhile, her soul is wilting and summons a magical guide~ the whimsical Dragonfly Lady~ who detours the train. Will Angelina catch the Dream Express into her Dream Destination or will she miss her destiny while she stubbornly sticks to a success track that steals her gifts and cripples her purpose? Click to image purchase novel. 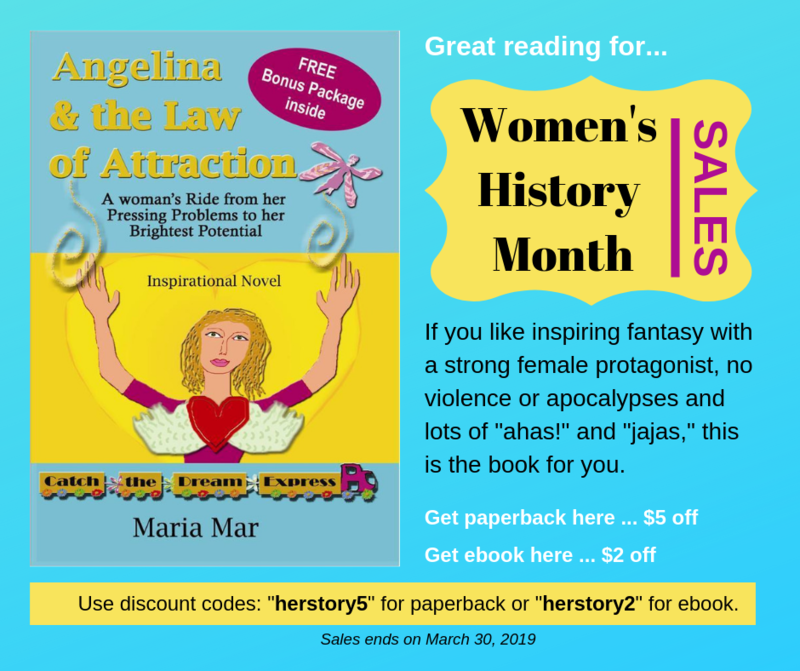 Are you a spiritual, creative woman (or out-of-the-box man) who loves fantasy but hates the violence, apocalyptic tendencies and wars of many fantasy stories? I totally relate! When I read, I want to experience something that enriches my life, uplifts my vibration and expands my wisdom. I’m not one to read just to escape. In fact, if everything is forced to be perfect, I find it boring. But neither do I want to bring a world worst than the one I’m already inhabiting into my psyche! And don’t get me started on “strong” and “powerful” protagonists! In a world that equates strong with angry and powerful with killing, no wonder women and artists are seen as weak and decorative! That’s why I wrote Angelina & the Law of Attraction. Here’s a fantasy with a strong female protagonist that does not equate strength to killing. Instead her quest is to liberate her potential, manifest her dream and walk through her fear into her brilliance! No more bang-bang! Read a story that will give you a lot of “Ahas!” and “Jajas!” instead. Well, and some “sob-sobs” when Angelina feels her flops and failures; because let’s be real ~we mess up… a lot! And manifesting our dreams is not a neat, linear track. It is messy. It zigzags. You put one foot in front of the other… and then you fall and have to pick yourself up and keep going. JAJAJA! So this story is a fantasy. In fact it is what is being called a Visionary Fantasy, like “The Alchemist” or “The Celestine Prophecy.” Using my shamanic training, I have dissolved the boundaries between fantasy and reality, so that the story is also a blueprint to manifest your dream in real life. Each chapter is also a “station” in the Dream Express route, guiding you through a step-by-step quest to quicken manifestation. This story is food for your soul, your dreams and your creativity. A great entertainment to celebrate your female and creative powers. You can simply read the story for entertainment, and the shamanic insights and secrets embedded in it will percolate through your life. You become a Dream Reader. But this is also a Book Beyond the Page…. This story opens into an experience beyond the written word. If you love journaling and creative activities and would love to explore how to employ your creativity for manifestation, or to Catch the Dream Express to enjoy shamanic journeys that flow the magic of the story into your life…. 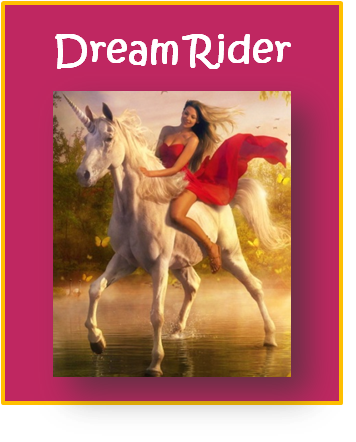 then you can step out of the book and into the Dream Express adventure, becoming a Dream Rider. What if you are committed to manifesting something this year and don’t want to go it alone? What if you know that you need a mentor or guide, a group of like-hearted women supporting you? What if you are a spiritual seeker? If you love a quest, a ceremony, a ritual? If you’ve done any personal growth, you know that doing it alone can be painful. You need guidance, feedback and support. If you’ve done any manifestation work, you know that it’s not just about actions, thoughts and words. It is essentially about your energy frequency. So how can you align with your dream vibrationally? How can you get the support you need? If these are your concerns, then you can go to the next level where you join a Manifestation Mastermind Group and engage my private support. 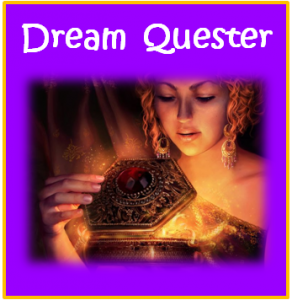 You become a Dream Quester. Those who want to make it happen by controlling everything in their lives. Those who wait passively as life happens to them and wonder why their dreams don’t come true. But neither of these attitudes helps you manifest your dream. You need to awaken a Creative Self that I call The Artchemist. She or he knows that life is art, and as such it is a co-creation with the Universe, with The Divine. Sometimes you lead and express what is going on within you with all your passion. Suddenly something seems to go wrong or summons you to stop.The Universe leads you to unexpected places, pushes you to walk into mystery… and these are some of the most powerful and miraculous opportunities! If this is how you like to live, as an artist creating her dream in her life, then join me at my virtual Artchemy Atelier. Become an Artchemist who employs art as alchemy of transformation, manifestation and liberation. 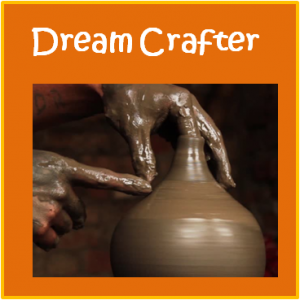 When you join my DreamCrafting Laboratory your become a Dream Crafter. 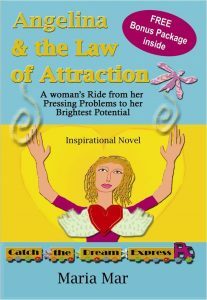 As you can see, Angelina & the Law of Attraction is more than a book. It is a magical journey into the DreamScape where we weave our dreams into our life. I want the digital formats. Click here for the paperback. Use discount code “herstory5” for $5 off. Click here for the digital formats. Use discount code “herstory2” for $2 off.